HPartners - What’s really holding you back from your goals? 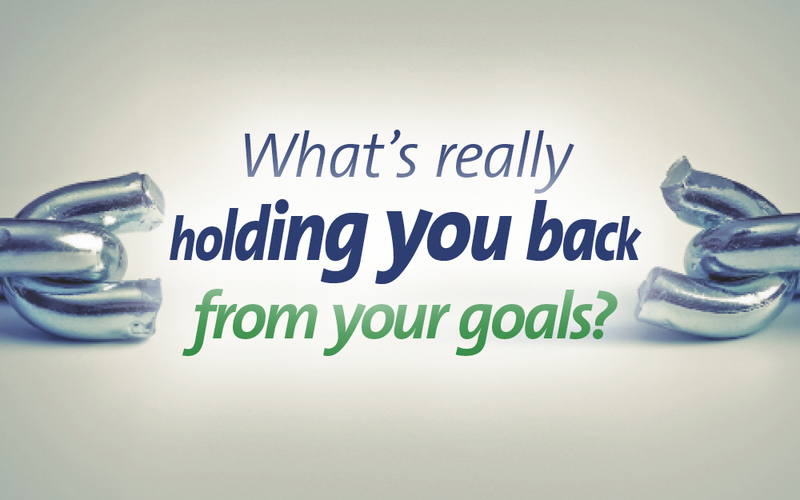 Home News What’s really holding you back from your goals? Behind the jokes, though, feeling stuck in terms of progress can be frustrating and demoralising. On the flip side, finding a way around something you thought was impossible can feel spectacular. Here are some of the most common obstacles to success, and how you can tackle them. Multitasking sounds great in theory, but in practice spreading yourself thin over too many projects means you can’t give your all to, well, anything. Try this visualisation exercise for refocusing your goals: write down five of the pursuits you’re giving most of your energy to on five separate pieces of paper side by side. Then, try putting them in priority order of what’s most important to you. Think about the hours you spend on each thing and what you could do if you shifted your schedule so you spent the bulk of your time on priority no. 1. That doesn’t mean you can’t do everything you want – it just means you need to take it one step at a time. Have you ever heard someone say “I’d love to do (X, Y and Z), but it’s just impossible”? The truth is that ambition without planning is just daydreaming, but even the wildest of goals can be reached over time with a good strategy in place. If you feel like something you want is just out of the question, ask yourself: what’s the biggest obstacle in your way? And what can you do to remove that obstacle? For example, if you’d love to expand your business but you need financial backing or expert guidance, you could try looking in to innovative funding options, or networking your way towards a great mentor. Some sources will tell you to make your goals public so that other people can hold you accountable. That sounds like a great idea, especially if you feel like you’ve already got problems with self-motivation. But what really happens is that you tell people what you’re aiming for and – like the good supportive friends and family they are – they encourage and cheer you on. In your brain, this registers as a reward, so you feel fulfilled even before you get started. Instead, try creating a system of self-accountability with effective incentives to keep you on track. Hint: it’ll probably work better if it involves positive reinforcement, rather than punishing yourself for perceived failures. Whether you’re writing the next great Aussie novel or developing a revolutionary new product, if you wait until you’ve got a jolt of inspiration and eight spare hours up your sleeve, you won’t get far. Instead, aim to do at least a little bit of work on your goal every day. Start by setting aside fifteen minutes a day (yes, every day) to work on your plan or project. Say for example you were trying to write something; even if you just write a paragraph and then decide later that you hate it, at least you’ll have explored an option and clarified your thought process. So what are you waiting for? Take the first step today and turn your goals into reality.